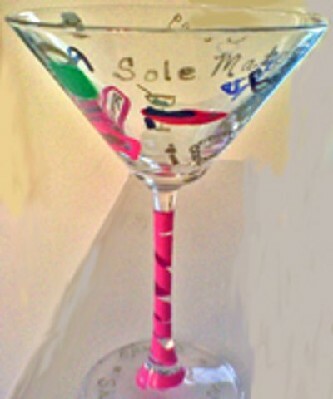 Clearly Susan hand painted martini glasses in martini designs of olives, swizzel sticks, shoe shopping designs that are custom made and personalized for our customers. Email us and we will come up with a hand painted design just for you. 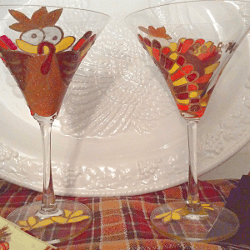 Martini's have been around since the middle to late 1800's and were so named because of the shape of the martini glass or cocktail glass. 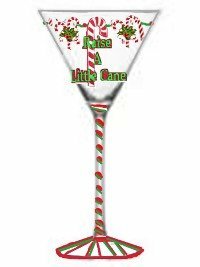 A martini served straight up is one in which the ingredients are chilled by either shaking or stirring, then strained into a glass, typically a martini glass. A dirty martini contains a splash of olive brine or olive juice and is garnished with an olive.